A smoke alarm playing a recording of a mother’s voice is more likely to wake a sleeping child than one with a conventional high-pitched alarm, according to a new study. 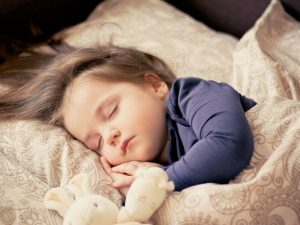 In a study published in the Journal of Paediatrics, researchers from the Center for Injury Research and Policy and the Sleep Disorders Center at Nationwide Children’s Hospital in the United States found that a sleeping child was about three times more likely to be awakened by a smoke alarm playing a human voice than one with a regular tone. The researchers tested three alarms that used the mother’s voice in addition to a high-pitch tone smoke alarm commonly used in homes with 176 children, aged between five and 12 years old. The alarms using the mother’s voice awakened 86-91% of children and prompted 84-86% to “escape” from the bedroom, compared with 53% awakened and 51% escaped for the tone alarm. The average time to escape for the high-pitch tone alarm was 282 seconds – nearly five minutes – while the average times to escape for the voice alarms ranged from 18 to 28 seconds. Because the human brain responds differently to the sound of our own name, even during sleep, the researchers wanted to test whether including the child’s first name in the alarm message made a difference in alarm effectiveness. However, no significant differences were found between each pair of the voice alarms, regardless of whether the child’s name was included in the message. “Children are remarkably resistant to awakening by sound when asleep,” said Mark Splaingard, MD, co-author of the study and director of the Sleep Disorders Center at Nationwide Children’s Hospital. Future research will include assessing the role of mother’s voice versus a generic female or male voice and also comparing the voice alarm with a low-pitch tone alarm. But the researchers urge all families to continue to use traditional smoke alarms as recommended while research continues. “These new findings put us one step closer to finding a smoke alarm that will be effective for children and practical for parents,” said Gary Smith, MD, DrPH, Lead Author of the Study and Director of the Center for Injury Research and Policy at Nationwide Children’s Hospital. 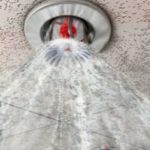 There is no general legal requirement for sprinkler systems to be installed in a place of work but there may be circumstances where sprinklers are required. Smoke alarms: Mother knows best A smoke alarm playing a recording of a mother’s voice is more likely to wake a sleeping child than one with a conventional high-pitched alarm, according to a new study. 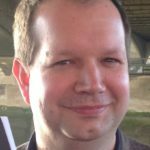 Jamie Hailstone is a freelance journalist and author, who has also contributed to numerous national business titles including Utility Week, the Municipal Journal, Environment Journal and consumer titles such as Classic Rock.